As one of the world’s largest virtual marketplace, the Google Play Store is host to a lot of subscription-based services. The number of people that use such services has gone up by eighty per cent compared to last year. With such a sharp rise in the number of users, the number of developers offering such services has also increased. Without a proper system in place, it can be a bit cumbersome for users to keep track of their subscriptions. Google perked up their existing subscription centre to make life easier for both developers and users. The company announced the new features today in a blog post. With the new subscription Center for subscribers, users will get to check up on all of their subscriptions. The feature helps people sort through their subscriptions and cancel any services they don’t use. Now, customers have one place to view all of their subscriptions and making the process of cancellation a lot easier. Users will also be able to update their payment methods, renew subscriptions, and restore previously cancelled subscriptions, all from the Subscription Center. 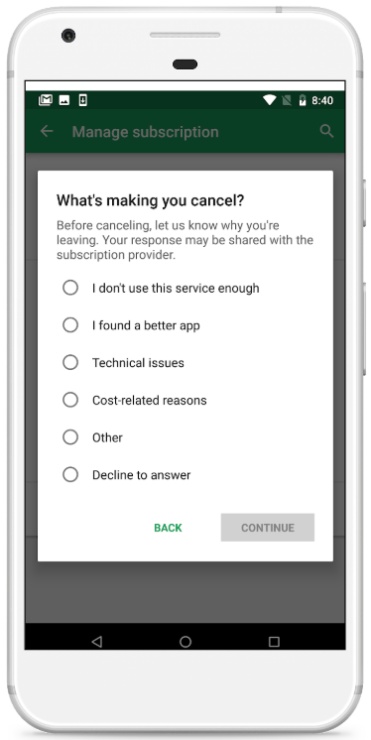 Additionally, if a user cancels a subscription, Google will now trigger a cancellation survey to give developers feedback as to why the user is cancelling. Google has also been working on new tools to give developers more flexibility to manage their business. One of the most highly requested features was the ability to ask users if they’re ok with a price change. 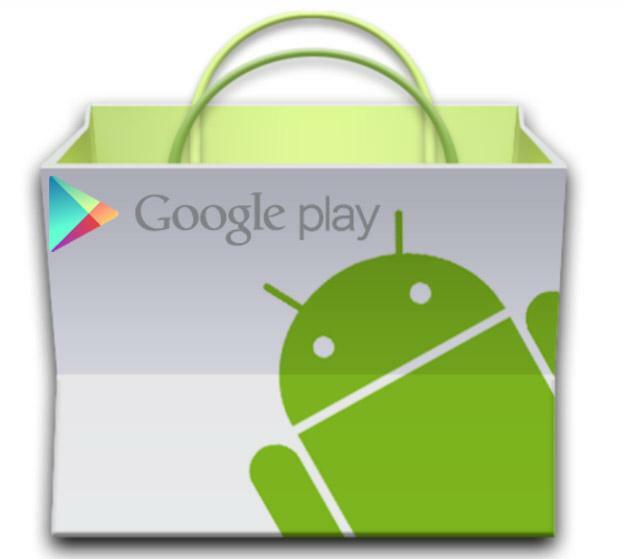 Now, developers will be able to ask their subscribers if they are willing to accept a price change directly via the Google Play Store. 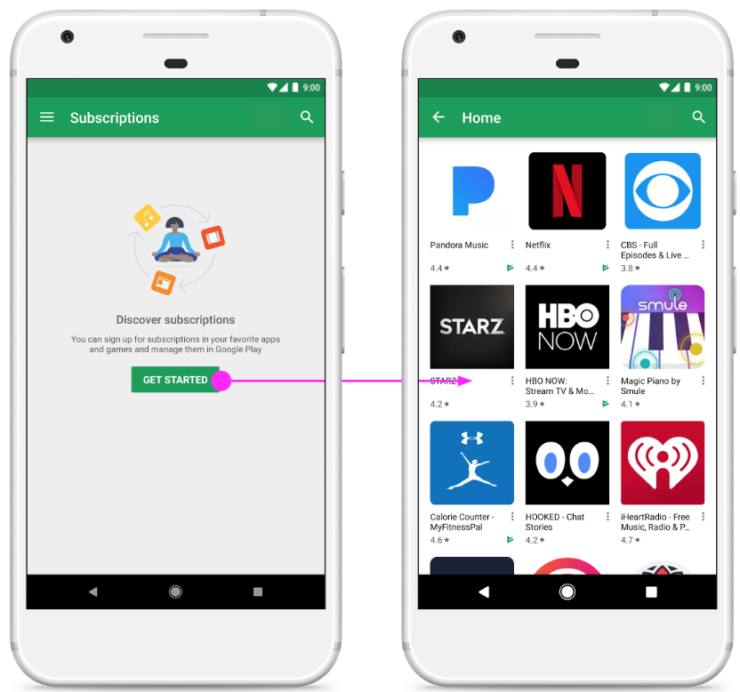 Google Play will notify users of the change via emails, push notifications and in-app messaging, and if by renewal date the user hasn’t agreed, the subscription will be cancelled automatically. Other new features include the ability to upgrade a subscription without changing someone’s expiration date, issuing partial refunds, refund specific renewals (not just the latest), and more. Check Out Google Play’s Best of 2017 List For Top Apps, Movies, Books, & More!